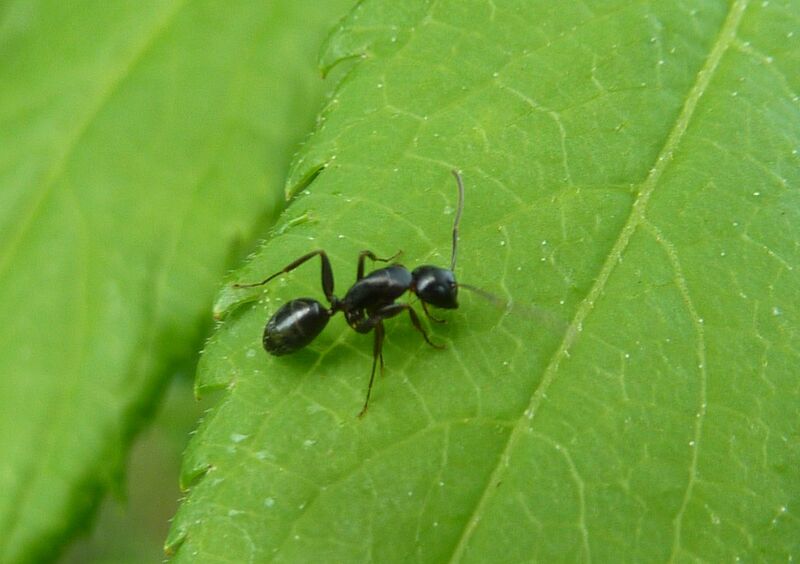 Ants marching around on plants is something of a common sight in my yard. Here a Camponotus nearcticus worker explores the leaves to a cup plant. Likely she's interested in small amounts of pollen or sweetness on the leaves or simply foraging for some insect or some other resource for the colony. 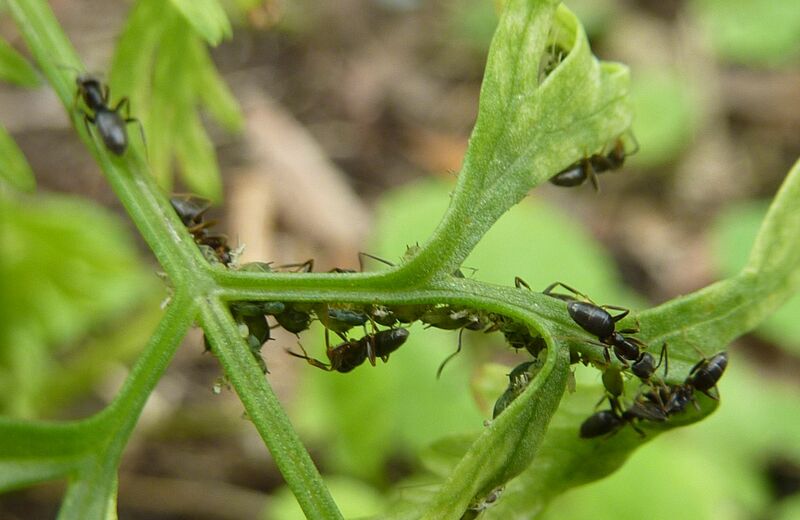 Occasionally aphids will drip honeydew down onto lower leaves and it's this that ants go for, but that's not the case here. I've actually never found aphids on cup plants before. Cup Plants are related to Perennial Sunflowers which produce extra floral nectar so I suspect that might be what's going on. I'd never found aphids on parsley before either but that's happened this year. Sometimes aphids don't afflict the same host plants each year or at least don't do so as badly as on previous years. The ants here are Tapinoma sessile which has become one of the most common ants in my yard. I believe my use of a green house to grow seedlings is the cause. Because their colonies move into the flats I effectively divide the colony every time I plant something in the yard. Some insects only require the protection from ants during the early stages. 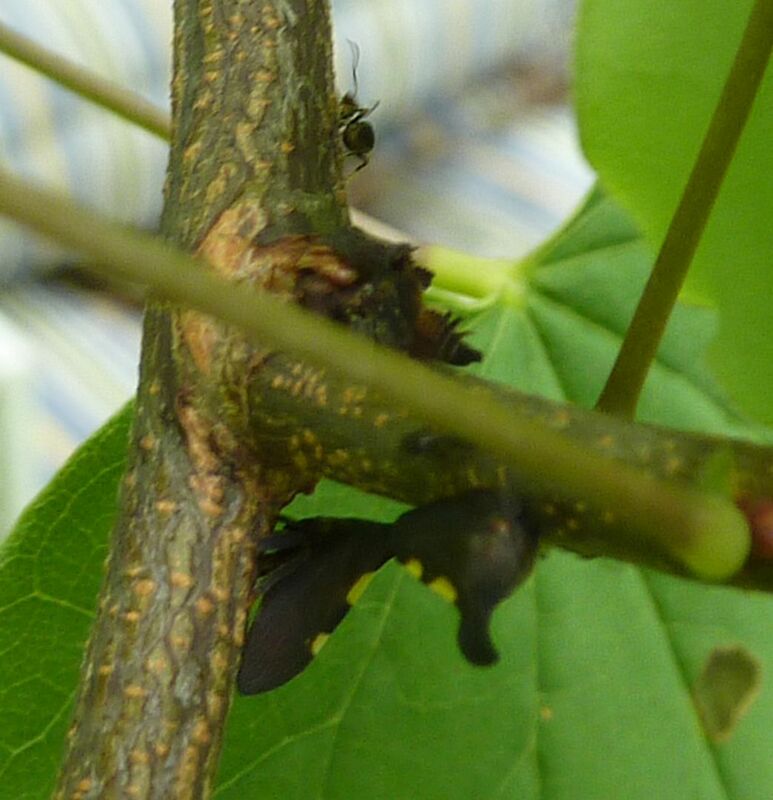 Here is a bad photo of some Leaf Hoppers. The younger nymphs are tended by ants but older ones, who've gained their hood, "wings", and brighter color, tend away from this relation. They become fidgety and are quick to flee when predators approach, something aphids don't do. In the absence of aphids ants and free sources of nectar, ants will out right steal it from flowers. 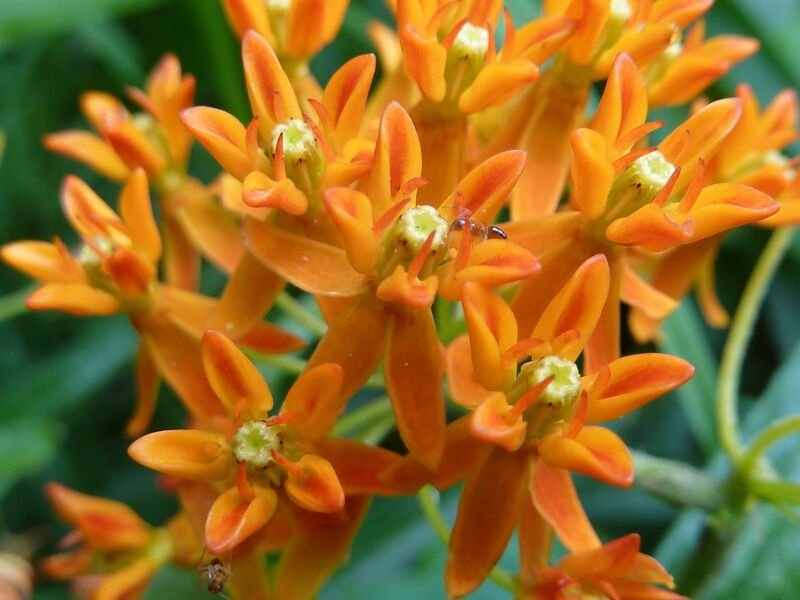 Here a tiny Nylanderia faisonensis worker explores the fanged flowers of an Asclepias tuberosa plant. They're a rather small ant that's able to get into the deep crevices. 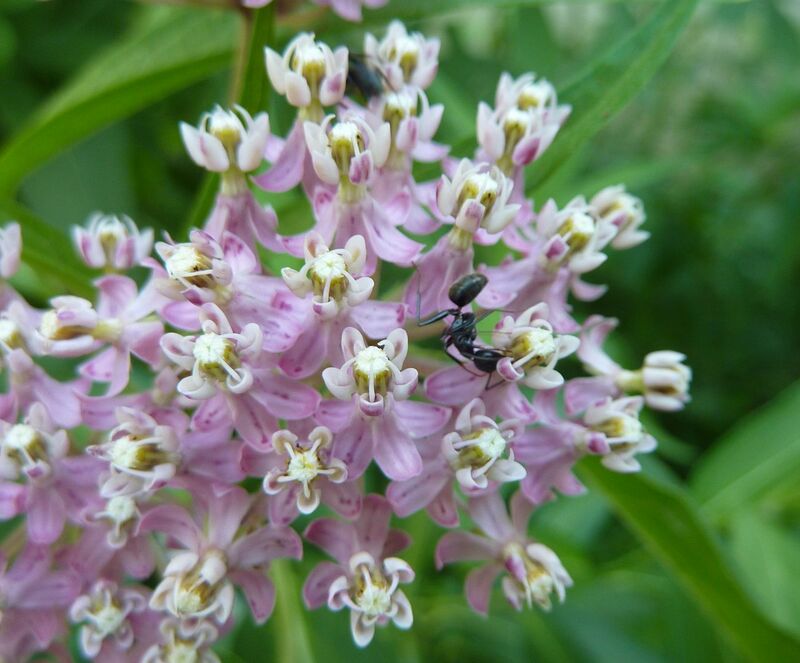 Oddly enough the flowers of Swamp Milkweed, Asclepias incarnatta, are even smaller and I found them being robbed out by a much larger species of ant, Camponotus pennsylvanicus. I suspect the large mandibles of this carpenter ant aid in their ability to get at the nectar somehow but I haven't had the time to inspect the flowers for damage. Yeah, Milkweed plants are supposed to have hairs along the stem that supposidly prevent ants from climbing up to steal the nectar but often the leaves and adjacent plants let the ants climb right on up.